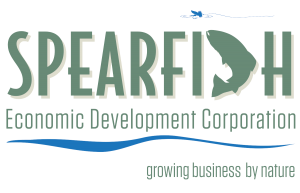 The Spearfish Economic Development Corporation (SEDC) is a non-profit corporation with initiatives geared toward workforce development, business retention and attraction, and cultivating entrepreneurship. In the upcoming year, SEDC will remain increasingly focused on growing a diverse local economy, identifying new economic opportunities and providing our membership with the resources needed to help navigate today’s ever-changing business environment. By investing in SEDC, you’re investing in our community’s continued prosperity. From cultivating entrepreneurial opportunities to readying the workforce, SEDC is working hard to promote economic prosperity and sustainable community growth for the Spearfish area. SEDC memberships are imperative to creating a vibrant and successful economic development program for the greater Spearfish region. Updates on events & news local and statewide. Labor trainings and certificates, and education news from Black Hills State University, Western Dakota Tech, and Spearfish School District. Finance programs available from SEDC, Lawrence County, and the Governor’s Office of Economic Development. Help promoting events or news associated with your business. If you are interested in seeing who else is an SEDC member, visit our Membership Directory. Please contact us if you have any questions or comments about SEDC Membership.